A gallon cap is a tool used to seal gallons to avoid exposure to foreign dirt or foreign material. Not only strong, gallon caps also have to be flexible and resistant to weather. Unlawful gallon cap products will be at risk of expelling unpleasant chemical aromas when exposed to sunlight or rainwater. We produce quality gallon lids that are flexible, strong, not easily broken and not easily damaged. 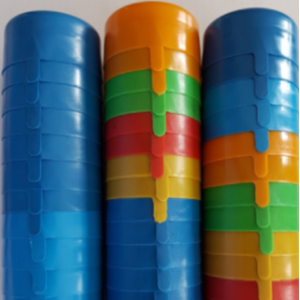 In addition to creating the best quality products, we also provide a wide selection of colors, which you can choose according to your business needs. To maintain the quality and power of production, we use high-tech plastic molding machines supported by professional workers and structured management. Today's society in meeting their drinking needs began using more efficient and sterile gallon water. To meet the needs of sterile drinking water is certainly needed a good packaging as well. The gallon cap is one component in the gallon water pack. The problem of the availability of clean water that often arises in urban areas makes the packaging water refill business to thrive. Besides the price is cheaper, consumers refill water is more practical. Surely the gallon cap is badly needed in this gallon water business, to ensure that drinking water to be consumed by consumers is maintained. 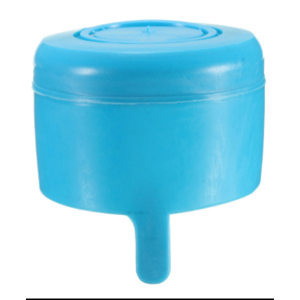 The gallon cap works for external protection, when the product is distributed sometimes there are things that can interfere with the product, such as: pressure, vibration, temperature, etc. That's why the packaging is made. Packaging should be able to protect the product inside. In addition to protecting the contents of the damage, the gallon cap also protects the product in another way that has a very important role to prevent other people idle product damage. Today's society in meeting their drinking needs began using more efficient and sterile gallon water. To meet the needs of sterile drinking water is certainly needed a good packaging as well. Gallon lid factory is one of the important components in the gallon packing drinking water industry. The resulting product is used as a cover which is then sealed so that the water in the gallon is not paid. There are a variety of unique gallon lid colors, and also add aesthetic value so it can be used as a superior product identity. 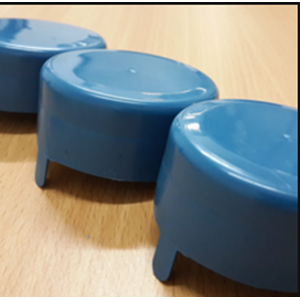 The gallon cover factory produces a gallon cap product for external protection, when the product is distributed sometimes there are things that can interfere with the product, such as pressure, vibration, temperature, etc. That's why the packaging is made. Packaging should be able to protect the product inside. In addition to protecting the contents of the damage, the gallon cap also protects the product in another way that has a very important role to prevent other people idle product damage. Packaging plays a big and important role in everyday human life. Because humans almost use the packaged products one of which is bottled water packed with gallon bottles and a gallon cap. The large number of bottled water industry is increasingly looking for gallon lid price info to meet their industry needs. Do not be tempted by the cheap price of the gallon lid but make sure the materials used are safe for your own product. Buat Permintaan Untuk "Galloon Cup"